From 14 to 16 November, the Natural Science Museum of Barcelona hosted the Ecsite Directors Forum, where around 70 representatives of the European Network of Science Centres and Museums debated on the mediating role of scientific centres between the public and knowledge in the context of the rise in so-called open science and citizen science and on the role played by citizen labs. The meeting included two talks by anthropologist Artur Serra, director of the I2CAT Foundation and vice-president of the European Network of Living Labs, who spoke about the role of citizen labs in democratizing science and how museums and outreach centres can adapt to this trend by providing venues to progress towards this objective. Another participant was Lucia Malfent, director of operations at the Ludwig Boltzman Gesellschaft Open Innovation Science Center, who spoke about the Tell Us! initiative, an open science project through which patients, relatives and health professionals have pushed forward several areas of research in the mental health field. There were also work sessions on various ways of approaching public participation and commitment to the scientific process, led by the Office of Citizen Science of Barcelona, which reported on the experiences of four real research projects carried out with active citizen participation:Mosquito Alert, Plant*tes, and BioBlitzBcn. 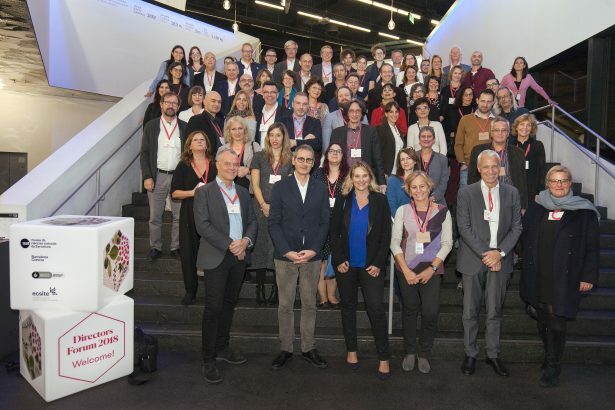 The Barcelona Institute for Global Health (ISGlobal) held a Science Shops session, focusing on InSPIRES, a European project led by this research centre. And BCNLab held a Living Labs session with the participation of IrsiCaixa’s Living Lab for Health, Volpelleres Library Living Lab and Citilab Cornellà. The meeting was organized by the Natural Science Museum of Barcelona and the Culture Institute’s Barcelona Science initiative. The Natural Science Museum of Barcelona is a full member of Ecsite. Anna Omedes, director of the museum, is Escite’s vicepresident and also a member of the Steering Committe for the Nature Group. Sample of tweets posted during the meeting.